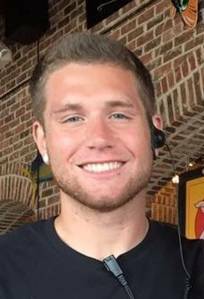 Michael Hammond at the age of 20 lost his battle with addiction early Sunday morning on May 15th. Michael was a talented musician, an amazing athlete and a kind hearted funny soul, whose smile lit up the room. He is survived by his loving and supportive parents, Phillip and Laura Hammond, two sisters, Kasey Hammond and Lauren Guziak. Michael also leaves behind his best friend and cousin Mason Opie, and many close family members, and an immense amount of loving friends. Family will receive friends Thursday 2-9 pm and Friday 12-2 pm at Neely-Turowski Funeral Home, 30200 Five Mile Rd, Livonia, MI 48154 where a funeral service will be held Friday at 2pm. In lieu of flowers donations may be made to the family.